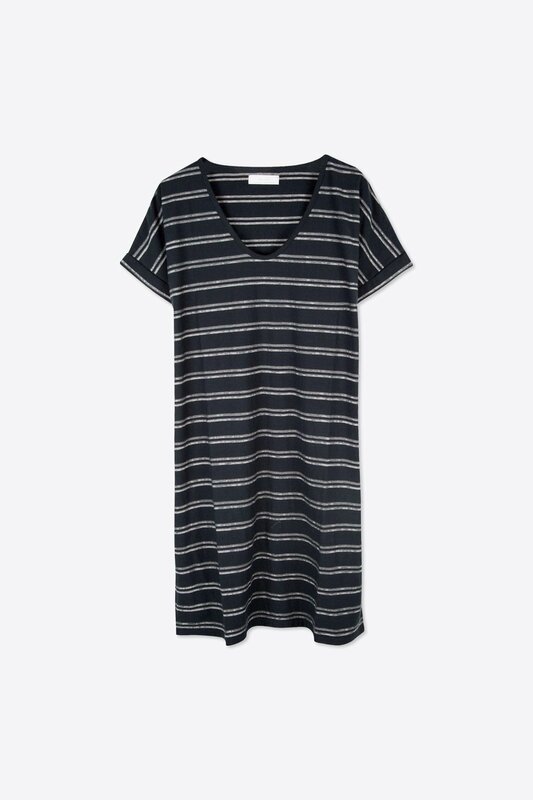 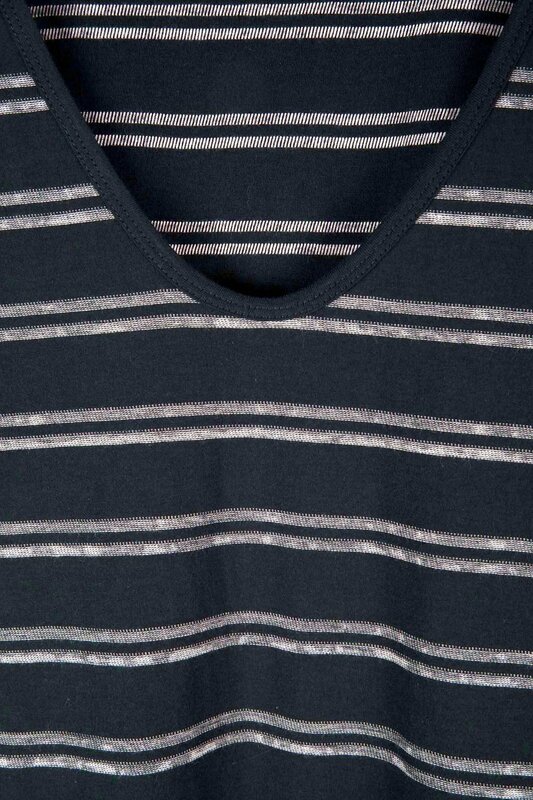 This lightweight t-shirt dress features a midi length, a subtle scoop-neck, and novelty stripes that are stitched into the fabric for elevated detailing. 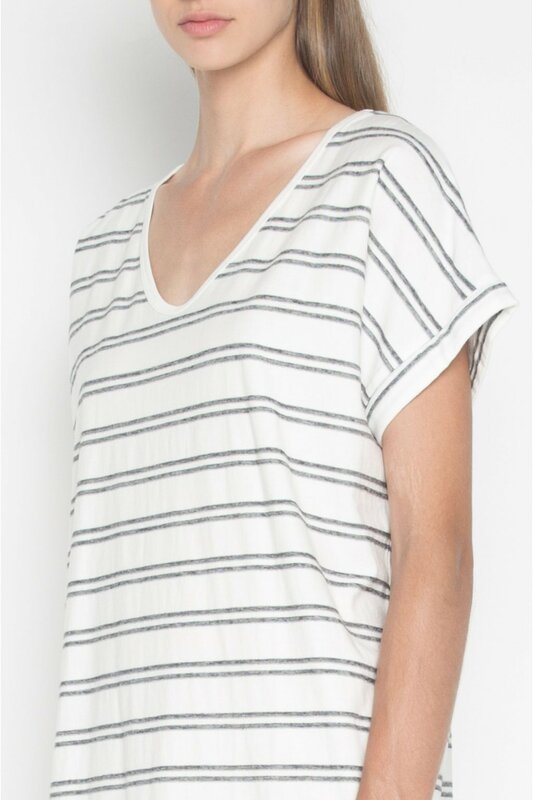 Minimal with a touch of sophistication, this piece is ideal for everyday wear. 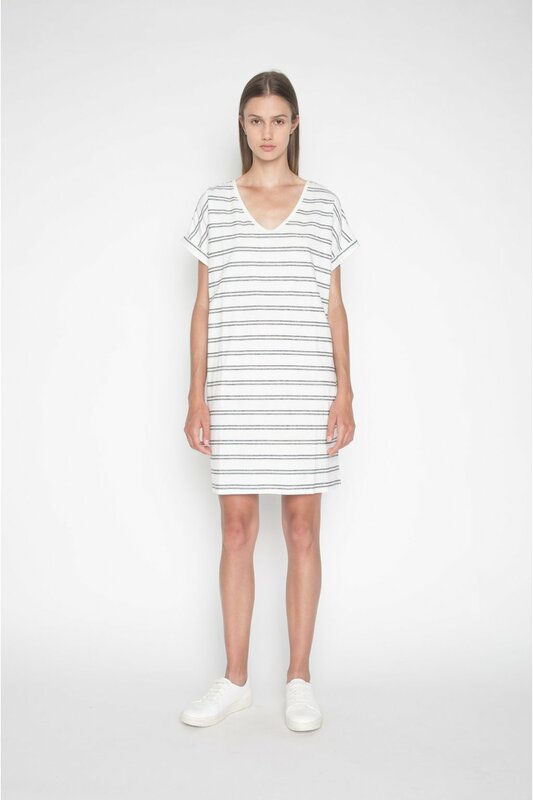 Pair with flat mules and denim jacket for a feminine yet casual everyday look.